This Pinata measures 26″ inches by 26″ inches measuring from tip to tip Length, and tip to tip Height, and 12″inches Width. 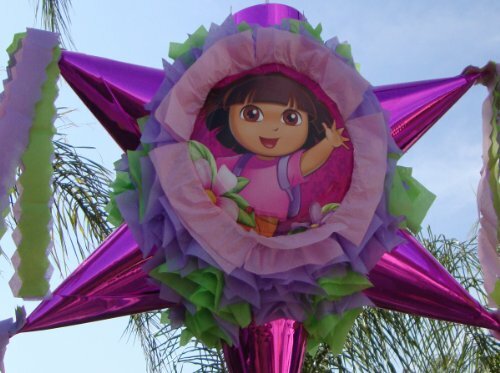 Hand Crafted Beautifully Detailed Traditional Cone Star shaped pinata with opening on top for stuffing candy. Sturdy enough to hold 2-4 pounds of candy. This originally styled pinata will complement any event!